New Delhi: India raised the pitch of an increasingly testy row with China over disputed border areas on Wednesday, warning Beijing about its involvement in Pakistan-occupied Kashmir (PoK). “We hope that the Chinese side will take a long-term view of the India-China relations and cease such activities in areas illegally occupied by Pakistan," Prakash said. India and China traded diplomatic jabs on Tuesday over a recent visit by Prime Minister Manmohan Singh to Arunachal Pradesh, which is at the core of a long-standing dispute between the neighbours. 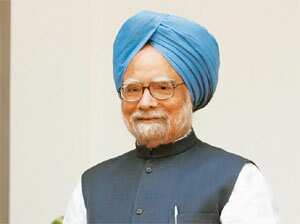 Singh had visited Arunachal Pradesh on 3 October to campaign ahead of state assembly elections, but refrained from saying anything on China or the border dispute. Last month, China offered financial help to Pakistan to build a multi-billion dollar dam in Pakistan-occupied Kashmir, which led New Delhi to complain to Islamabad. The planned $12.6 billion (Rs58,212 crore) Diamir-Bhasha dam on the Indus river in Pakistan-occupied Kashmir is set to produce 4,500MW of power, aimed at overcoming major electricity shortages in the region.